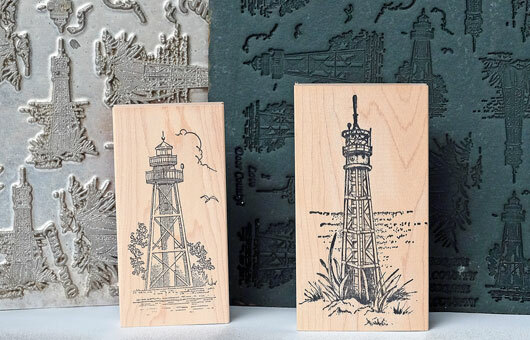 Northeast Wisconsin's original rubber stamp store, featuring thousands of totally original designs! Explore our wonderful selection of rubber stamp supplies, Door County custom papers, and scrapbooking pages/stencils/art accessories and more. Stamp…Scrap…Repeat. Offering all original art rubber stamps from the only rubber stamp company in Door County. 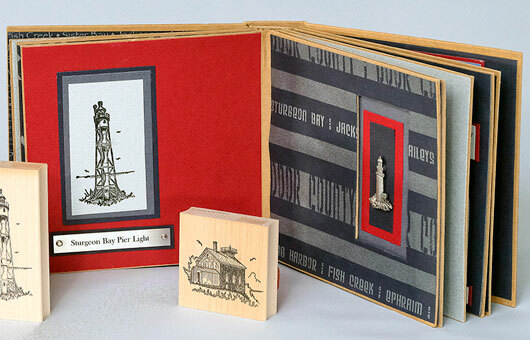 Choose from our original designs of Door County lighthouses, nautical items, local landmarks, holidays, kids at play and dozens of other themes to create your own special greetings and other special cards. Offering 30,000+ rubber stamps under one roof! Beautiful memory catchers! For many years, we've designed the best of the best in custom Door County-designed scrapbooking papers and accessories. For the newest trends in paper, die cuts, stamps, stencils, stickers and fibers – and the specialized tools and accessories that allow you to express your own artistry. Stop in to catch the scrapbooking bug and load up on your own supplies today! And…it’s Packer Season! We have the perfect assortment of Green Bay Packer-themed papers and rubber stamps to create scrapbook pages and greeting cards about YOUR team. Go Pack! Disclaimer: All images on this site are copyright Door County Rubber Stamps, LLC or our artists; unauthorized use of this artwork is prohibited. You are free to hand stamp all Door County Rubber Stamps, LLC images on cards or on hand stamped projects. All mechanical reproduction of Door County Rubber Stamps, LLC images is strictly forbidden.